These zero gravity rocking chairs are out of this world! With an innovative craftsmanship meant to emulate the weightlessness experienced in space, these folding chairs break the mold and provide maximum comfort with a soothing rocking motion. 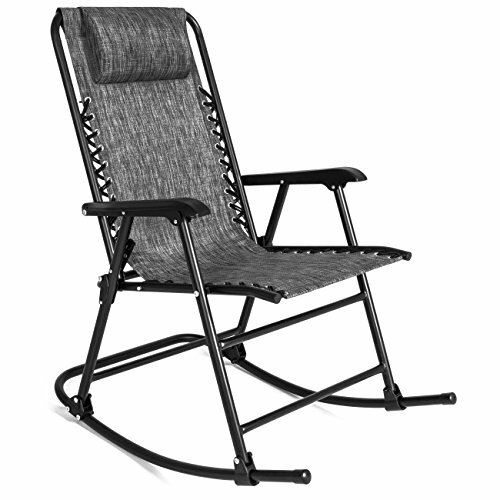 Enjoy the sun and surf or camping in the wilderness with these chairs made to fit your lifestyle. Overall Dimensions: 25"(L) x 36.5"(W) x 42"(H); Weight Capacity: 250 lbs.